What to do with Swiss Chard? The Swiss Chard we grow at Lakehouse Farm is called “Verde da Taglio” and is obtained from Seeds From Italy. 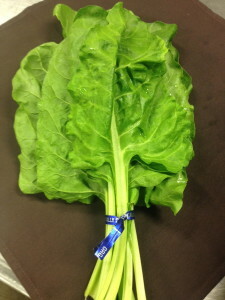 Swiss Chard is used extensively in Northern Italian cuisine. A great reference is Marcella Hazan’s “Essentials of Classic Italian Cooking”; it has several great recipes, simple to complex, that showcase this versatile vegetable . Swiss Chard performs well later into a Nebraska Summer than Spinach and can then be cut off at the base and it will regrow for a Fall harvest. 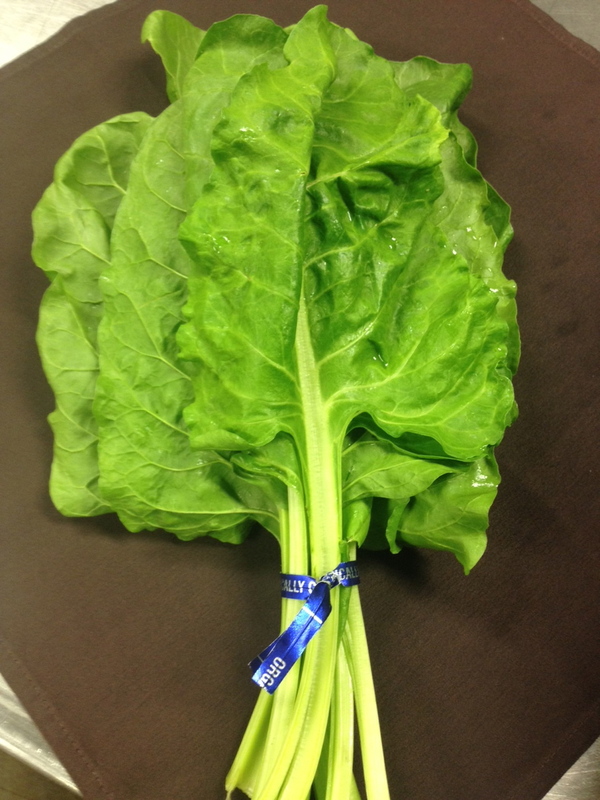 It has a similar flavor and nutritional profile to Spinach, but not quite as tender. At Prairie Plate Restaurant, we use it extensively as a Spinach substitute. One of our favorite applications is lightly sautéed in Olive Oil with garlic and then crumble Feta Cheese on top. Why ‘Baby’ Beets? Many people are familiar with the large storage beet that can last in your refrigerator all winter, but few have tried beets when they are young. 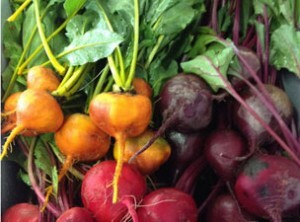 Baby beets are harvested young when their beetroot and edible leaves are tender and sweet. Beet roots can be eaten raw, sauteed, or roasted. The beet greens make a great addition to salads or stir fries. Did you know that the beet leaves are more nutritious than the root? Check out the recipe below and savor the taste of beets. Chèvre is a soft goat cheese. There are several Nebraska producers including Dutch Girl Creamery (Shadowbrook Farms). If you are using a sweeter beet (Chioggia or Golden), try using blue cheese and walnuts to garnish the salad instead of Chèvre. 2. To assemble salad: Select a deep skillet, wok, or dutch oven (something deep enough to hold all the greens). Turn on the heat to med-hi. Add all the beet greens, a pinch of salt, olive oil (if using), and 1/4 cup water. Toss the greens until they are as wilted as you like. You may need to use more water if the greens are larger and require more cooking. Remove from heat and divide among plates. Top with the sliced roasted beets and crumbled chèvre. To Roast Beets: Preheat oven to 350F. Wash beets and wrap in foil. Put them in a glass baking dish or roasting pan and bake for 45 min – 1.5 hours (depending on the size and freshness of the beets). When you squeeze them they should feel like a baked potato or be easily pierced with a knife. Let them cool until you can handle them. Use a paper towel to gently rub the skins off. Beets can be refrigerated for several days or sliced and frozen with as little air in the bag as possible.